Considering the detrimental effects of bear bile farming on the conservation of wild bears, as well as the extremely cruel methods of bile extraction and poor keeping conditions, bile from farmed bears can be described as a highly unethical and a totally unnecessary product. The Vietnamese government has taken commendable steps over the last decade to end bear farming. But, with approximately 1,300 bears still living in tiny cages and bears being used for bile extraction, more action is needed to ensure bear farming finally ends in Vietnam. 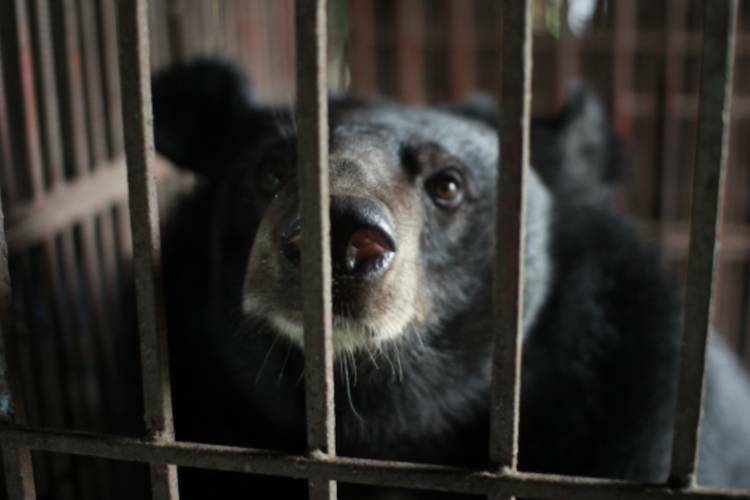 The Vietnamese government must now finish the job and end bear farming for good! Take even greater steps in ensuring that bears are not farmed for bile extraction. Ensure bears currently on bear farms are strictly monitored with confiscations and penalties for noncompliance. Close all bear farms by 2020 and ensure the transfer of all remaining bears to rescue centers and sanctuaries. Read more at Bear bile products and alternatives.